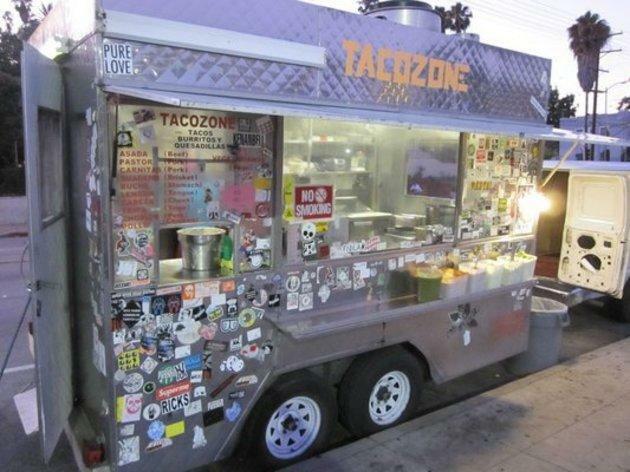 Whether you're in need of an afternoon snack, a casual dinner or a late night bite, Taco Zone is a Mexican food fan favorite. From burritos to quesidillas, what sets these authentic meals apart is the salsa. And with $2 taco, it's hard not to wait in the late night line that wraps around Echo Park. Just make sure you hit an ATM before, because this fun food joint is cash only. My cash money, my waistline and my heart are lost somewhere in between a greasy mulita and some green sauce. 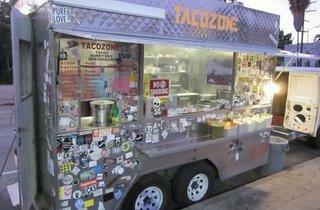 Taco Zone is the place to go for late-night snacking. The food is cheap, filling and satisfying. All the condiments are self-serve so I have been known to package up as many little containers of avocado salsa as possible and bring them home. It goes well with eggs, it goes well on quesadillas, it goes well on pretty much everything. This, for me, is one of the best ways to introduce an out-of-towner to what food trucks are all about. Just make sure to avoid it after a Dodgers game… it gets really crowded.